The teachers at Clatford and other friends of our school like to run after school clubs for the children as part of our commitment to developing the whole child. 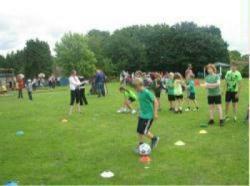 There is a wide range of clubs for lots of different ages in a programme that changes termly. We hope that no matter what skills the children wish to develop we can find something to engage them.